We love a night at the movies. 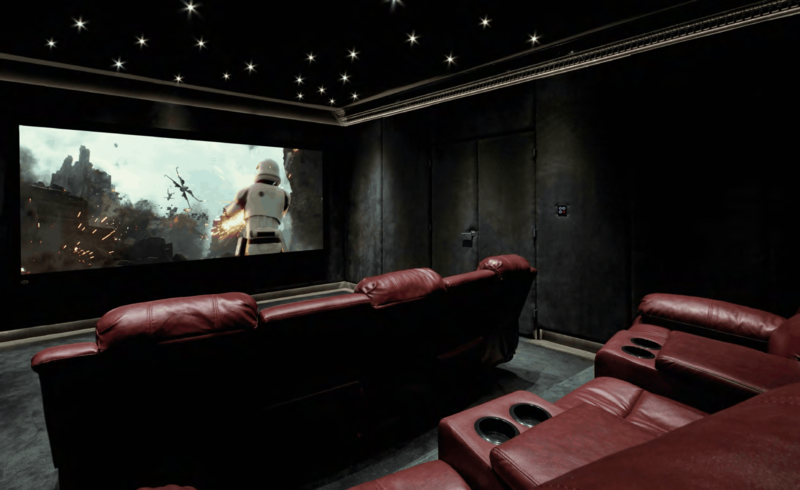 Enjoying it in the comfort of your own home is even better, and our experts in home cinema can take care of everything from design concepts & consultation through to installing and maintaining your system. If you’re a film or TV fan, our home cinema systems offer a truly immersive cinema experience like never before. With a range of options including fixed or built-in screens and projectors hidden in the ceiling. 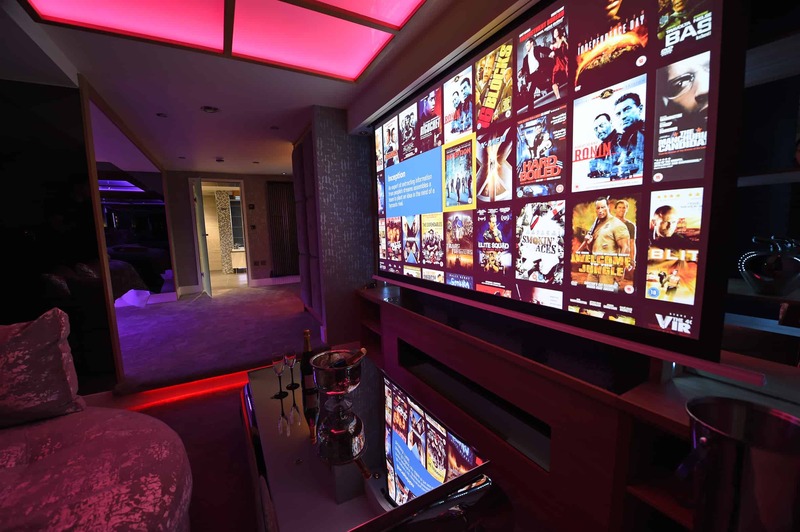 Our home cinema design and installation service never fails to impress our clients. 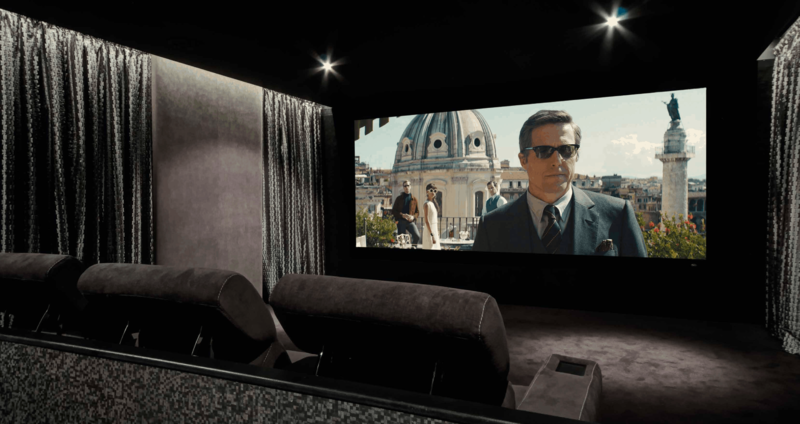 A home cinema from Epixx allows our clients to rediscover their favourite films with true to life video and audio reproduction allowing for the highest quality playback available. Our design service involves full 3D renders of your living space so you can really experience what your living space is going to look & feel like. Our experts take into account every aspect of the design, from the technology to surrounding materials and even the seating, to make sure you get the ultimate home movie experience. As a large and complex installation, we’ll project manage it entirely from start to finish, co-ordinating every aspect to minimise the inconvenience. These totally immersive, revolutionary 3D sound formats place every element of the movie’s soundtrack carefully in the space around you taking into account your room; and you can experience it first hand at our demo room in Kirkby Lonsdale. 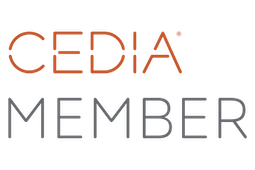 Rather than Hi-Fi or TV retailing, our background is in electrical and electronics – so we know all about installing components with an effective infrastructure that’s truly reliable and intuitive. We take pride in providing the highest quality equipment in our home cinemas to allow our clients to experience the film as the creator intended. The rise of streaming platforms such as Netflix and Amazon’s Prime video have revolutionised to accessibility of films but at the cost of compressed video and audio quality. Our home cinemas allow our clients to stream and download movies without any compromise on quality, getting the most out of their equipment and allowing the rediscovery of video and audio quality that can only be matched by a trip to the box office. Epixx designed and installed our home cinema, the attention to detail and professionalism was brilliant, and they're always happy to help with our technical questions. We do everything ourselves, from consultation to design, specification, installation and ongoing maintenance, and only bring in experts in specific technologies if the project requires it. We’re proud of the relationships we have with our clients, and you can rely on us to make sure everything’s just perfect for you. We’ll do our best to solve any problems the same or next day, too. From installing simple home heating controls, to fully integrated smart systems. We create dream homes, hospitality environments and cutting edge conference venues. Our portfolio covers a wide range of projects. 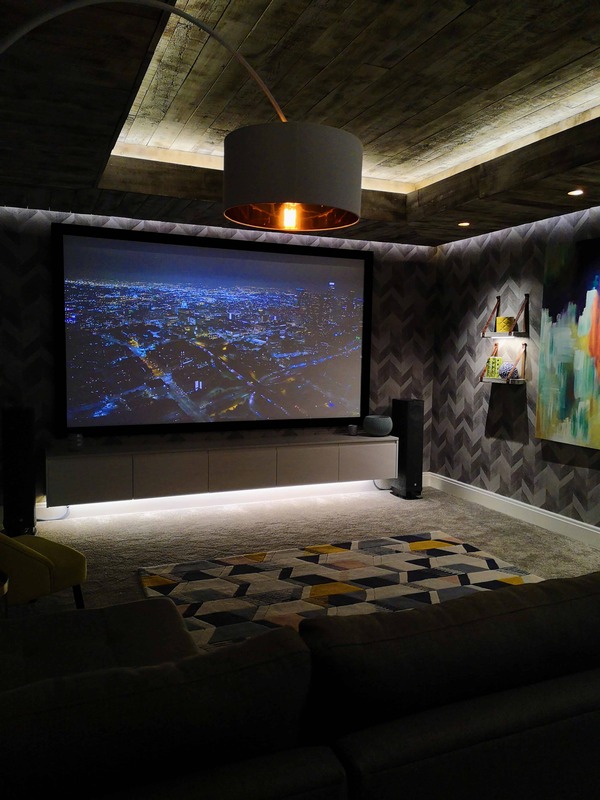 You’ve created your ideal cinema room with crystal clear sound and beautiful visuals but what’s just as important is feeling comfortable in your new space. With professional cinema seating you can ensure you and your guests feel a true cinematic experience. All of our products feature high quality designer fabric or genuine Italian leather upholstery. The entire range is available in a manual, single motor or dual motor recline system controlled via subtle stainless steel buttons in the armrest along side a minimalist style drinks holder available in different finishes. Kaleidescape brings all your content together into a beautiful graphical user interface. A perfect bolt-on to any home cinema experience. We take a look at Samsung's range of discreet installation TV sets.